Will all your years of training save you in a real attack? Admit it. You're not sure. You can now breathe a huge sigh of relief - Systema Hand to Hand reveals the true way. Experts call it the most important contribution ever to the worldwide movement of life and combat training. It's that good! Vladimir Vasiliev is one of the few men in the world who has mastered the lost secrets of Systema - the fighting system of the ancient Russian warriors. In this film, Vladimir lays out every fundamental principle of unarmed hand-to-hand combat and teaches dozens of supporting drills that specifically work on each concept. He shows the methods used by the Russian Systema Masters to achieve their astonishing skill and sensitivity, smooth and devastating movements, striking power and endurance, and unique use of the body for defense and offense. You'll learn how to take total control of any empty-hand attack. This film connects great explanations with non-stop action. It will seriously rock your world! ... but wait - there's more! This production includes an unprecedented bonus feature - "Defense from a Chain" - where Vladimir shows you simple and spectacular moves against a real 40-inch chain. Every doubter, every skeptic, everybody with any interest in martial arts - line up for Systema Hand to Hand. great dvd to help you get the feel of systema. when i went to my first class i was happy to find i already had a grasp of what was going on and i really think it is a great introduction for new students,as well as a reference to be watched again and again. I would describe this as Systema 101. In this DVD, Vladimir thoroughly covers the foundations of Systema - from striking to footwork to kick defense in great detail. This would be the one to purchase prior to all others. In fact, with this DVD, other "specialty" DVDs such as Stick Work or Joint Breaks makes more sense and can be understood at a deeper level. The analogy would be learning the alphabet prior to the words, words prior to sentences and so forth. Without the fundamentals, the martial art is forced to rely on technique instead of movement. If you are looking to enter the world of Systema, start with this DVD. As a former soldier in the U.
S. Army, I have learned about movement. It took some courage, but I finally decided, "If Vlad says it's part of Systema, get your rear end out there and give it a try". I've learned that Systema has more than just ways to fall that prevent injury: Some of these survival moves immediately pull the most commonly aimed portion of the body ("Center Mass", as we call it in the Army) out of the immediate danger area and/or provide quick movement to a possible obstacle to hide behind or to avoid getting attacked. With shootings and terrorist attacks happening in America, France and the U.K., I sense these to be extremely important. I have not seen Systema's ease and effectiveness in any other forms of training. I\'ve studied different martial arts since I was 12 or 13. This art is in my top two. I became aware of Systema 10 years ago through TRS, but had a hard time understanding it, outside of a few moves. With H2H, Vladimir shows the drills to help free your body and mind and move without thinking. Even my fianc'ee got into it and is my training partner. And she loves to take me down. We practiced it and I have some work to do on my tension. I took notes on how to do the drills so I can study them and the principles when I'm away from the TV. My only problem is that the DVDs don't have subtitles since my fianc'ee is deaf. Otherwise, good work! I have all of Vladimir's Instructionals and they are just the best! In 32 yrs of learning and teaching a wide variety of combative arts I have never come across Systema's methods, principles and approach! Rare and unique and definately fight skill changing, plus moreeee!!!!!! Systema Hand to Hand is an incredibly valuable DVD in its content! It is in fact a DVD that although I own, it is seldom in my possession, as I am constantly lending it out to someone. for someone with zero martial arts experience before, i found this dvd easy to follow and very informative. It is a must buy for beginners and advanced students. This is an absolutely awesome DVD, just trust me. I'm in the military and i never learned anything like this. Pratice all the drill and games.You will have power in your punches.If you do exactly as he says. If your a newbee it will change all your concepts of what you may think fighting is. He walks around with his hand down by his sides with out the need to take a fighting stance or pose.Half the time he looks like he is day dreaming or he has his mind on something else other then the two guys he is beating down with no effort. There is meny ex sample where he simply punches the arm that is attacking him and then there are other ex sample where he simple takes a step in a direction that is hard for the attacker to get him and then there are the subtle foot sweeps you will learn about. Get this video if you don't have it and get "Beat the Odds" and or "Dynamic Joint Breaks" .THese videos together wil make a nice set or package to recieve in the mail.You will be very happy to own these videos. Just watching this DVD, it is fantastic! Systema Hand to Hand is a must have for both seasoned and beginner level fighters and Martial Artists. Vladimir Vasiliev's understanding of kinetics and human physics are both inspiring and easy to understand. This is a lesson that needs to be in your DVD collection. I've been practicing Martial Arts for 20 years. This is one of the best DVD's I have ever seen. It is a must for all Martialartists. I purchased Systema Hand To Hand was blown away! Systema revolutionized the way I thought about unarmed combat. Being an ex- soldier I was pleased to see people that have applied it in the real world, teaching it. I have studied Krav Maga and Brazilian Jui Jitsu, but nothing compares to Systema in terms of real world application if you are in danger. I love this real world martial art Russia has created. Combat is a free flowing ever changing thing it shouldn't be bogged down by rules or guidelines. Great job! When I first got the pakage, the first dvd that i popped into my dvd player was Systema Hand to Hand. I like martial arts very much. I learn Taekwon- Do but i like to study different kind of martial arts. I believe that every individual is fit into a particular martial art because each of us has different physical condition. Before I got the dvd, I was still searching for martial arts that fit me. I found it, Systema is the one. I also think that Systema is the kind of martial art that fits for anyone. I am 83 years old and my friend is 75. We watch Mr. Vasiliev’s DVDs and just love to see him move! I have never seen anything like it in my life. He is fantastic! It seems that he has no bones in his body, he is so smooth. We really look forward to new productions. I thought of writing to you about a freak incident which took place day before yesterday in my dental clinic. There was this huge well built guy who came to get his teeth cleaned, and in between the procedure he went into syncope (loss of consciousness) probably due to the extreme heat in Dubai, as its summer or maybe he was scared. I acted fast I adjusted the chair, put his head at lower position, slapped him lightly on the face, removed the suction tube from the mouth, shook him, and he was ok. He suddenly starts shouting, jumps, and attacks me. He punched towards my face which I blocked then he kicked me twice and I blocked that too and when he attempted to punch me in the ribs I turned my body and locked his arm under my arm, my clinic assistant ran to get the cops. When the cops came and stopped him, I explained the whole. The patient thought that I was going to throw him out when I tilted the chair and shook him etc… It was a very embarrassing situation which was uncalled for. the cops had a good laugh and they asked me to forgive the patient for his ignorance. I could never imagine that Systema knowledge would have come in use in such a situation as usually fights take place in bars and on roads. I was happy that I could manage the situation without panicking. ps- A few self defense classes can pay off in the long run, the strategy of turning the waist to on an oncoming punch to nullify the force was learnt from your video. everything happened so fast. Thank you once again. I owe it to you. This training DVD is the best I've seen yet! , it goes through excellent training drills and explains lots of information about Systema and how to defend yourself thoroughly using this excellent system, I now study Systema and train with partners. I recommend this DVD to everyone interested in getting excellent material. !! I purchased and viewed "Systema Hand to Hand" and was so impressed. Definitely the most useful video training I've ever been exposed to. 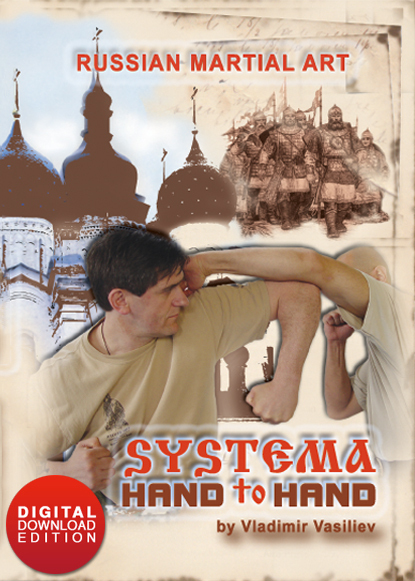 I have just finished watching a pre-release copy of the new and wonderful Systema Hand to Hand. Get excited people. It's incredible. This is a superb effort by Vladimir. As with the most recent works by Vlad, this isn't just a collection of techniques. It's step-by-step explanations with fabulous demos to facilitate the learning process. It's like a private lesson with Vlad! You lone trainers and groups who are not close to a certified instructor will appreciate the extra attention to detail and the sheer mass of information. As you know Vlad and Mikhail don't give a whole lot of extra details when they teach you. They prefer you to discover things for yourself. [I prefer this method as you'll own it when you find it for yourself.] Not with this production. There's a ton of info and not much left out in the explanation department. It opens with an introduction to the Russian system. History, ideals, principles, it's all here. Vlad even slipped in some of the most recent footage from seminars this year including the Summer camp. It's a real treat to watch. I know I say this about each new offering when it's released but this is definitely his best effort to date. Kudos to the students who gave their bodies up to demonstrate the work especially Nick who seems to be getting most of the full speed stuff [mind you Alex Kostic took one in the nads at slow speed and it still looked pretty uncomfortable]. Yes there are full speed demos as well as the more familiar slower-paced work. Then, just when you think it's all over, you are treated to two small [but tasty] bits at the end. All you folks who have been calling for stick and chain work will be pleasantly surprised. Both are featured. This video is outstanding in all respects and the bonus material at the end makes it just so much nicer. I'm rapt in wonder not only by Vlad's ability on the mat and off but also by his efforts in the production studio. We can only stand to benefit from his love for creating. Just my biased view folks. Prepare to have yourself amazed and your interest revitalized. A wonderful piece of work is on the way to y'all. Enjoy, people. Life is good and this film is just another reason for you to smile. Order your copy now. The content covers vital aspects of the fighting art of Systema and is heavily focused on training methods suitable for elite military and police units. This DVD is well organized and finely produced. The introduction gives a brief history of Systema, said to have originated in the 10th century among Russian warriors who blended aspects of combatives from neighboring states. It seems clear that, by modern times, an eclectic fighting art eventually bloomed into perhaps the most efficiently lethal fighting system known. It became the art utilized by the Elite Russian Special Forces. Found on this DVD are chapters that deal with particular fighting principles based on natural body movement and flowing technique. Vasiliev presents the fundamental principles of unarmed hand-to-hand combat by illustrating drills that specifically train each concept. You will find drills that work defenses against pushes, kicks, and strikes. In addition there are drills that focus on delivering strikes, evasive footwork, takedowns and even the ability to absorb strikes with proper breathing and body movement. However, Vasiliev stresses not to concentrate on teaching techniques on this DVD, but advises one to grasp the essential principles that allow physical and mental freedom to spontaneously manifest techniques. The “wave principle” is on of the more important principles presented on the DVD. This involves an integrated movement of the whole body as guided by the physics of human kinetics. All the drills help train an individual to move naturally in a physically and mentally relaxed, responsive manner. This serves as an excellent introduction to Systema and its multifaceted potential as a fighting art. The DVD includes a “bonus feature” of defense against a 40-inch chain. Since I found Systema on the web by accident I loved it. Now that I've seen Vlad in my homeland I started to pick up training with some friends! It's great this DVD shows you all you need to know!! Principles and every exercise is explained that even a beginner in martialarts can understand it! I have experience in Aikido and Karate and some other arts and never thaught it's possible to learn something from a tape or DVD! But Vlad made it possible! it's so easy to apply it was scarry for me in the beginning! Thanks to Systema and it's trainers! The Systema Hand-To-Hand DVD is excellent. Fascinating! There is lots of information about the technique. 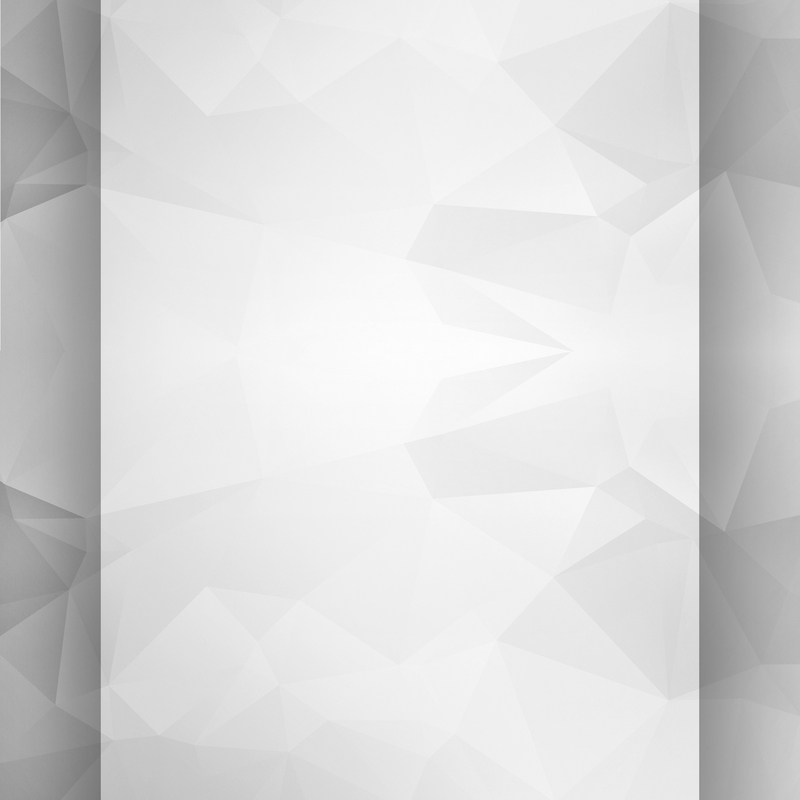 But, in addition, there is information providing exercises and training practices that help you make the Systema technique your own technique. A martial arts skill that is free flowing and unique to your own body type and style. I recommend it and hope you enjoy it. I enjoyed watching it the second time, more than the first time, and will review it again. As an instructor, I am often asked what is the difference between Russian Martial Art and other martial arts. My response is that everything a person needs to know about Systema is in the Systema Hand to Hand DVD. This DVD not only illustrates the core value of what Systema is but honestly puts forth sound principles that are perfectly suited for expereinced martial artisits as well as those who have never studied a martial art before. Veiwing this DVD, it is easy to realize why many people feel that Systema is not just a martial art but a force for good and a way of life. A must have DVD for those who also train in Aikido. I have been training in Aikido only for 2.5 years but to me it seems that the two systems perfectly compliment each other. It is like you open another dimension for yourself by combining the two systems. Now I begin to actually understand some of my Aikido DVDs which are in Japanese language. This DVD is exceptionally clear and understandable. I'm currently going through it for the third time already and it is time well-spent. This is the best DVD yet. The production quality is excellent and the explanations are excellent. I really appreciated that the usual demonstrations and explanations are joined by topical clips from other filming. It's obvious that the crew worked hard on finding the right situations and scenes to enhance each scene. The flow of the explanation, the filming angles and timing work beautifully together. It was also very nice to see the clips of faster work. The chain and stick work at the end is interesting, but I didn't like it nearly as much as the main topic. I felt this DVD was definitely worth watching. If you liked the earlier DVDs you will love this one. I have been studying Systema under Vlad for a while now, and the great thing about this DVD is that it is an awesome distillation of what we have done in the last few years for Hand to Hand. I am a professional educator by trade, so I always view this type of material with teaching and learning in mind. That being said, I can give this video no higher praise than to to say it contains the absolute foundation for correct learning. More important than "what" you train is "how" you train it and this newest H2H DVD clearly outlines the exercises you need to reach all of your training goals no matter what style you train in or what skill level you have. There are no secrets, just good training methods and this video gives you a clear map of how to build your skill sets and reprogram your body at a reflexive level. Once again, Vladimir touches on some of the most cutting edge theories and principles of modern education without an apparent ounce of effort. Many of us are used to seeing him fight off multiple attackers as easily as if he were swatting flies. Now, I'm happy to say that there something out there that illustrates his equal skill as an educator. Even without any understanding of the fantastic research and science that drives his training method, this video will change you. I urge everyone to try these exercises honestly and to integrate them into their personal training. If you are truly committed to learning to protect yourself and your loved ones, you should be willing to use anything that will work and this video works. Time and time again, this approach has worked for me and my students and at last there is something on permanent record that clearly outlines some of the most important aspects. There is enough material in this video to train for the rest of my life on. Absoultely superb. Volume & quality of the informational & instructional material presented to the ‘Systema H2H’ viewers are far beyond any expectations & the real value of this masterpiece is simply not adequate to the price tag. This latest addition to the Vladimir Vasiliev’s video collection is long awaited by international Systema community but paradoxically it will equally benefit ANY & ALL combative professionals, martial artists & fitness enthusiasts who’re willing to enrich their experience with the most natural & efficient way to survive. The famous time & battlefield tested Systema’s non-technical approach to the combat training is presented in a comprehensive form of private lessons given by the true Master & Teacher. Highly professional performance, clear instructions & brilliant demonstrations along with the rare footage of bonus material leave no doubt in practicality of the generously offered instructions. The ‘Systema H2H’ is not an aged version of the ‘Russian Fighting System’ produced by TRS & Vladimir Vasiliev a decade ago. In fact the resemblance between two is the resemblance between grape juice & wine: same source – different flavor. If TRS product is introductory informational, the new ‘Systema H2H’ is practical & instructional to the full extend of a private lesson. 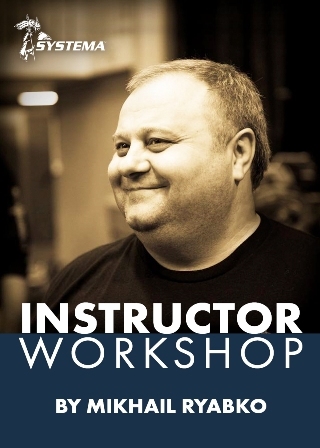 For those who lack an opportunity to benefit learning from the Master himself or his numerous students-instructors this item is by far the best starting point in an exiting journey to the unique art of Systema.